Attorneys, judges, and juries are only human and do not always make the correct decisions. Fortunately, our judicial system provides the opportunity to someone convicted of a crime to challenge the legality of the jury verdict, an erroneous ruling by the trial judge, or a mistake by the prosecutor or defense counsel. Only a select group of attorneys have the training and skills to represent a wrongly convicted client in the court of appeals or the supreme court. Attorney Belli had previously worked for two respected appeals court judges before entering private legal practice. He has applied this experience to pursue many successful appeals on behalf of his clients. He prides himself on meticulous legal research, persuasive writing, and dynamic oral argument to win an appeal on behalf of his clients. If you wish to take your case to the next level of judicial review, keep in mind that strict time limits apply to the filing of an appeal. Call (614) 300-2915 to discuss these time limits and how they apply to your situation. The Ohio and the Federal judicial systems guarantee a criminal defendant the right to appeal his conviction and/or sentence to the court of appeals. This is often referred to as the direct appeal. A direct appeal is heard by a panel of three judges. In order to ensure an independent, unbiased review process, the panel of judges does not include the judge who handled the case at the trial court level. The three-judge panel is limited to considering only the trial court record. 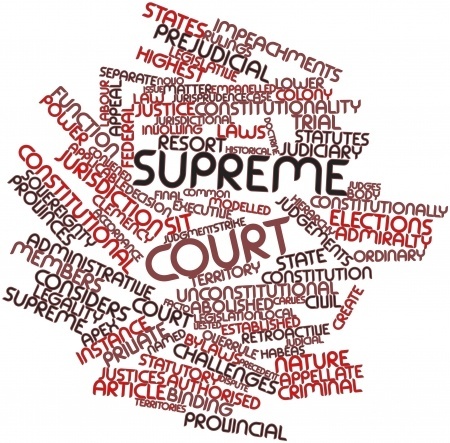 The appellate record consists of the original documents filed in the trial court, the court reporter's transcript of the trial and hearings, and any exhibits admitted into evidence. The appellate panel is not permitted to consider any new evidence that has not been presented first to the trial court. The key to winning a direct appeal is a well-written appellate brief and persuasive oral argument. The responsibility of a criminal appeals attorney is to carefully review the record from the trial court, identify the errors that occurred in the trial court proceedings, research the legal authorities that support his client's position, and present his arguments to the appeals court both in writing (the brief) and orally (oral arguments). His ultimate objective is to persuade the panel of appeals judges that these errors were so serious that his client was deprived of his constitutional right to a fair trial and/or a reasonable and lawful sentence. If the judges of the court of appeals are convinced that serious errors did occur, they have the authority to return the case to the trial court for a new trial or a resentencing hearing.